Summary: FDIC's first quarter 2018 banking profile includes a breakout on community bank performance. We provide you with the highlights. 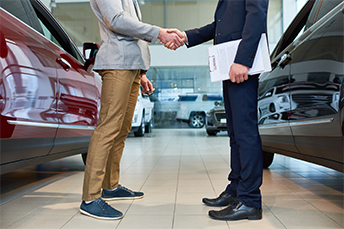 Experian research finds the average monthly loan payment for a new car is now $523 and the average amount borrowed is $31,453. Both are record highs. Meanwhile, research by Edmunds finds the average length of a new auto loan reached 69.2 months in April of this year or about 5.8Ys. This is yet again another all-time record. There is a lot going on in the auto lending space and there is a lot going on in community banking as well. Look no further than the most recent quarterly report of bank performance from the FDIC. It certainly paints a rosy portrait of community banks and indicates profitability is being boosted, not just by strong fundamentals, but also by the tax overhaul. The statistics on bank performance contained in the FDIC's first quarter 2018 banking profile includes a breakout on community bank performance. While the entire banking industry has been doing well, community banks outperform in some ways but also underperform in other areas. Community bank net income hit $6.1B in Q1 2018, up almost 18% vs. the same period in 2017. Also, more than 70% of community banks reported higher net income for the period. While that is certainly a healthy jump, it lags the overall increase for all banks, which was up almost 28%. Things are good for community banks, but this data at least shows the largest banks are racking up bigger gains than smaller banks. The FDIC notes one of the main drivers for the improvement in net income is a lower marginal tax rate. A closer look at the impact of tax breaks shows some divergence in how much they were worth to big banks vs. community banks. Here, excluding the impact of the decrease in corporate tax rates, the FDIC estimates community banks would have seen $5.6B in Q1 net income for an increase of 9.2% from 2017. That means less than 50% of the bottom line increase for Q1 2018 appears to be the result of the tax break. The same calculation for all banks indicates that the net increase for Q1 2018 would have been about 13%. Here, it appears well more than 50% of performance in net earnings for all banks could be attributed to the tax breaks. This may also indicate that larger banks may have received more benefit from the tax breaks than community banks. Of course, there is far more to a bank's performance than the taxes it pays. On the business side of things, community banks are closely tied to business lending, while the largest banks are driven by consumer and more diversified business lines. The FDIC notes the rise in net income at all banks was from higher net operating revenue, while at community banks, a key reason was higher net interest income. For community banks, net interest income rose almost 10% YOY, while at all banks the increase was somewhat less at 9%. But non-interest income at community banks rose a much smaller 3% YOY vs. a jump of almost 8% for all banks. For now, the banking industry and community banks specifically are doing well. However, we will continue to keep you updated and are hopeful that things will look just as rosy next quarter. A survey by S&P Global Market Intelligence found the reasons respondents say they would not use cryptocurrency for payments are: security concerns (48%); too complicated or unsure how to use (43%); easier to use other payment methods (30%); prices too volatile (26%); unsure of acceptance where I shop (20%); not accepted where I shop (19%); have not heard of cryptocurrencies (18%) and transaction fees are too high (12%). Global corporate debt has risen above pre-crisis levels according to research from Moody's. Further, some 4,000 non-financial companies say their debt is 20% higher than pre-crisis and 60% of companies are now considered speculative grade, while 40% of those are rated B1 or lower. Much of the increased debt load is due to M&A activity, as companies issue debt using favorable borrowing rates. According to KPMG, 89% of surveyed CEOs said guarding customer data is one of their most essential personal responsibilities, yet only 15% said having a robust cybersecurity strategy was critical for building trust with stakeholders.